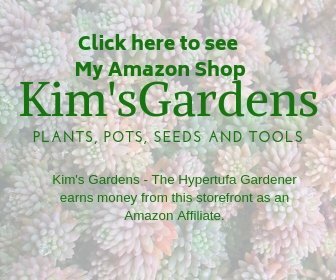 Little Hypertufa Planters! So Cute! 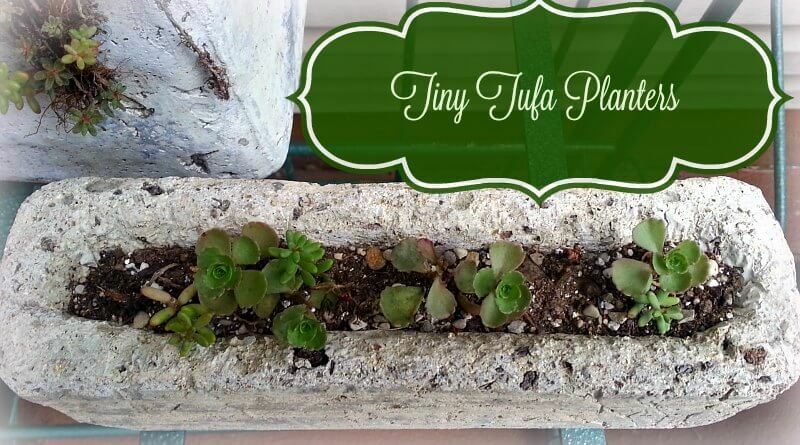 Little Hypertufa Planters ! So Cute! 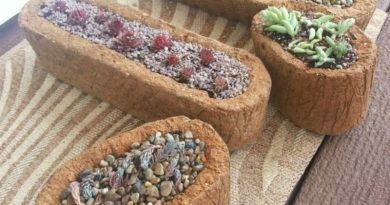 I love making little hypertufa planters. The little hypertufa planter in my featured image shaped from a cheese product box (rhymes with Melveeta) is one of my favorites. Everyone has room for this, on a window sill, or under a light somewhere, sitting on a rail on the deck. It’s one that most people are wanting to grab and pick up, since it is small enough to do so . Love a little row of sempervivums in it. It is so exciting with spring coming into this area, some days more than others. A sudden decision by Mother Nature to visit a “freeze” on us last night was a real kick in the pants. Last year 2014, we had an inch of snow during this week , and temperatures in the 20s . Mother Nature is reminding us not to get too hasty putting those plants out. Yes, I was with some of you out there last night bringing some hanging pots and small planters into the garage. Every year I try and restrain myself, but each year………………so anxious to jump the gun! Maybe you have made “just a few more” as I have. Or maybe just planting up some older ones whose plants didn’t make it. Some of my sempervivums don’t seem to have survived or at least look as if they didn’t. These look like a black dried-up pine cone. But if I leave it alone and make sure it’s watered , it comes back again. Or maybe it just sends a new baby chick or pup from what seems like dead compost-ready material. My daughter has a large urn filled with hens and chicks, and the mass just looks bigger every year even though it looks as if it is just a pile of dead hens ready to be composted. It all grows up new in early spring. Now who could not LOVE a plant like that? And now for the new look I am trying. I have collected some wire forms that I plan to use for an insert-type stand for some little hypertufa planters. What do you think? I think the look is enhanced with those little wire frames. I will need to create the mold with light wood or styrofoam since I don’t currently have any plastic form which is exactly the size I need. But I think they will make a pretty display once done. I have a pair of squared black wire forms are large enough to be a front porch display. Hurry warmer weather! 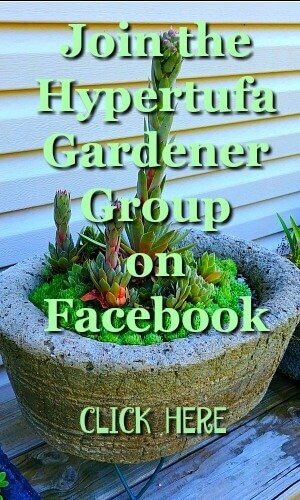 Remember as you plant up your hypertufa planters that you don’t need to add gravel in the bottom of the planter. 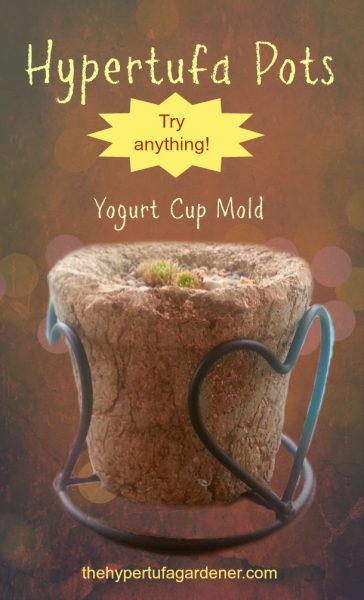 Just use a coffee filter and place it over your drainage holes. 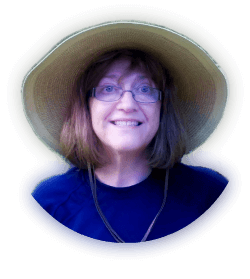 You can use a layer of two or three filters if you like, but one is fine. It holds the soil inside the planter and will deteriorate into the soil gradually. Try it and you will see how easy it is. And there is definitely more room for plant roots! And lighter to carry around. I’ll bet I rearrange more than anyone in the city! What are you prepping this spring? Let me know in the comments. I would like to hear from you. Happy Tufa Time! 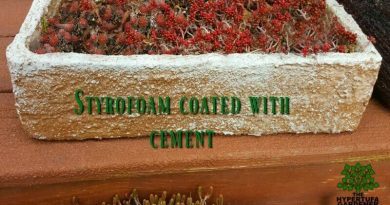 Coat Those Styrofoam Planters With Slurry! 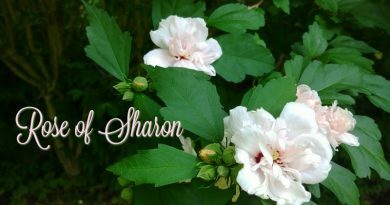 Rose of Sharon Tree Care – I Have A Living Fence!